On average 1 in 68 children have an diagnosis of Autism Spectrum Disorder. In additional to sensory processing issues, those with autism deal frequently with anxiety, OCD and often are faced with extreme difficulty with changes to their schedule and environment. We hope that by integrating a routine of sound therapy into their day will help those with autism manage some of these symptoms that create barriers for equality and full integration in the community. • The auditory world is not matching up with the visual world. Therefore systems that use both synchronized light and sound can be effective. • Oversensitive nervous system. It is important to monitor the level of stimulation very closely. • It is important to et them express and explore on their own. Often social anxiety can impede the process. Therefore, we will be playing sound healing music in the background and sound mats will be placed on the floor for them to explore if they like. • Autism is caused by tunnel-vision on one frequency. One hypothesis is that that autism is caused by tunnelvision on one frequency and that by exposing the individual to a full range of the frequency spectrum can “open up” the person to wholeness. Our music provides a good balance of all frequencies. “The Listening Program” rolls off the low frequencies in Classical Music until only the high frequencies are left, then slowly brings back in the full range of frequencies. This program has proven to be quite effective. • The Stapedius Muscle in the inner ear is not working up to par. Also, based on how the “Listening Program works, there is evidence that shows a problem with sluggishness of the Stapedius muscle. So any music that has lots of changing information can exercise that muscle and get results. There is a whole book on the “Listening Program” that talks about this in detail: The Polyvagal Theory by Stephen Porges, PhD. • Anything that is calming can help with social anxiety. Our music on the sound tables is extremely calming both emotionally and physically. 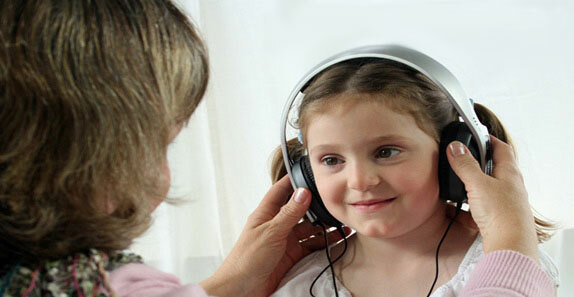 • Brainwave Entrainment can create more focus and calmness, and help with learning and language. Jeffrey Thompson’s CDs access a part of the brain associated with Autism. Our CDs use brainwave entrainment at many different levels. 1. Sound Lounge Pro with Pillow (Some centers may require more than one). A Sound Lounge or Table has powerful low frequency speakers mounted on the bottom. The lounge/table itself acts like a speaker sending healing low frequency vibrations throughout every cell of your body. Sound tables are used in vibroacoustic therapies, which are treatment methods based on the combined effects of music and low frequency sound vibration. Auditory and vibratory stimulations are applied to the body to achieve physical and psychological results. Since the 1980’s, the use of vibroacoustic equipment has spread across the globe. 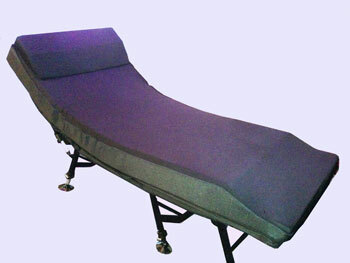 It is used in a wide range of settings, including hospitals, hospices, spas, and centers for massage therapy, sound therapy, alternative health, yoga, physical therapy, and psychiatric treatment, and by individual therapists. • Penetrate every cell of your body, creating a relaxation response. • Send energy through each part of the body, energizing every cell leaving you invigorated. • Overcome the chaotic frequencies that attack our bodies throughout the day (noise, electricity, cell phones, traffic, etc. ), by creating a consistent vibration in each part of the body including all the organs. • Drive energy from cell to cell, clearing blockages and stimulating neural pathways. The sounds and music that are played during a vibroacoustic treatment are the most important aspects of the sound healing therapy. We are the #1 seller of this type of music because of the experience and techniques developed by David Gibson, the founder and director of Globe Sound and Consciousness Institute in San Francisco. David’s CDs are produced according to ancient and modern science from the field of Sound Healing and Therapy, and years of experience and research on the physics of sound. His music is being used in hospitals around the country (including Massachusetts General in Boston and U.C. Medical Center in San Francisco) for its beneficial effects on the body, mind and Spirit of patients. David has created music tuned to specific archetypal frequencies that are more readily accepted by the body and known to have specific effects physically, mentally, emotionally, and spiritually. Based on this science his techniques include 100% focus of intention (which is embedded in the music), ancient tuning systems and modes, and music tuned to the tempo of specific breath and heart rates. All of his music includes binaural beats specifically calibrated to entrain the brain into a variety of brainwave states. David also uses aspects of the Mozart Effect research to create focus – techniques that use high frequency content and constant change in various musical parameters. On other projects, he uses repetition to put the analytical left brain to sleep so the creative right brain can take over. Information from the research of Alfred Tomatis on the ear are also infused in the music. David has spent many years refining the precise type of bass sounds used to vibrate the body (including exact sound envelopes that feel the best). This allows the bass to be maximized on the body in a way that feels soothing and natural. He is fanatical about creating a consistent musical and energetic flow of energy that taps into the deeper rhythms of the human biosystem and is in alignment with the mathematical patterns found in natural flowing systems in nature and Spirit. But most importantly, David brings in the subtle frequencies and energies of love and incorporates them throughout the productions. The program is arranged in four progressive frequency zones, stimulating different brain areas and their related functions during the course of your personalized listening schedule. The training emphasis is in the lower frequency music of the green zone supporting social & emotional functions, motor coordination, stress response, sensory processing, and more. 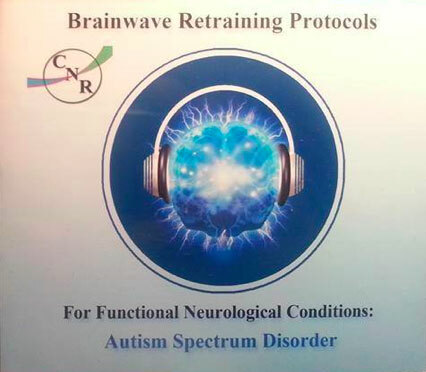 This six CD’s in this set address the six primary brain function deficits found in Autism Spectrum Disorder: Default Mode Network, MU Wave function, Gamma and Epsilon brainwave activity, Sleep difficulties associated with Delta brainwaves, and Learning difficulties associated with deficiencies in Alpha/Beta brainwaves. Using a variety of brainwave entrainment and neural synchronization techniques (explained in the enclosed booklet), this set of sound tracks represents a cutting-edge scientific approach for retraining deficient brain function successfully in clinical experience. Frequencies played through headphones that have been shown to have a therapeutic effect. Sounds of nature have been shown to be some of the most effective sounds for relaxing the mind and body. Sacred Geometry images and structures (particularly spinning structures) resonate the structures of creation and help reconnect people to natural order. 8. The Virtual Reality Healing System – Total immersion in healing Sound and 3D Visuals. CLICK HERE for more details. Practitioners will find the Home note of each individual where there at peace. The individual then listens to a CD on headphones or on the Sound Lounge to return them to a state of natural homeostasis. Doing artwork while playing music creates a mind body connection to the emotions and also allows freedom of creativity with few boundaries. d. Making a sound of where they are at and shifting it to more sweetness.